Over the last few years modern electronics have found their way onto the fishing kayak in the form of sonar or Fishfinders. As an increasingly common sight on fishing kayaks, the fish finder that has proven to be very popular within the kayak fishing world is our very own Dragonfly range. 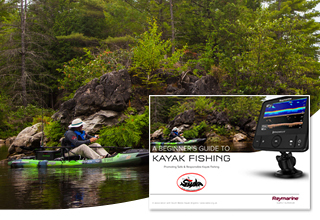 This guide from our friends at South Wales Kayak Anglers is designed to help you to understand how to setup, use and get the most out of your Dragonfly whilst Kayak Fishing. 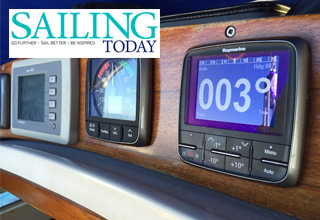 When Sam Fortescure, Sailing Today's editor decided it was time to upgrade the marine instruments on his Sadler 34 to a modern NMEA 2000 network, Raymarine was the obvious choice for him. 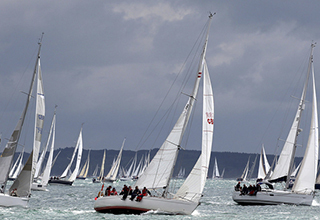 Sail racers with Raymarine onboard can now take full advantage of our LightHouse II Release 14 Sail Race features, by importing Solent Race Mark positions directly into your Multifunction Display.